Good evening from EPHQ everyone! 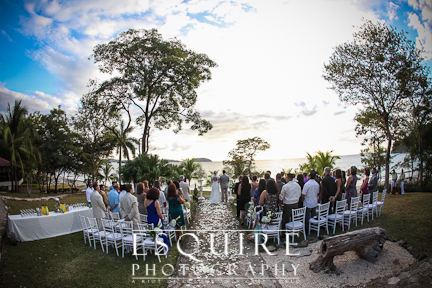 I’m one international photographer who’s has been craving to share Denise & Miguel’s Costa Rica wedding at Hotel Sugar Beach. As you’ve seen on Twitter & Facebook – I’m constantly running around the world photographing Weddings, Portraits, Red Carpet Events, commercial photo shoots with celebrities; Boo Boo Stewart AND Brittany Curran, working on the TV program; “Picture Me – Picture You“ filmed internationally entirely on a mobile phone. AND more recently – being hired as the Set Photographer AND as an Actor on the award winning movie; “Skyfell (And I Can’t Get Up)” – all the while working on post production of literally several thousand of photographs that I captured over the course of a week with Denise & Miguel and their family & friends. If Denise & Miguel sound familiar, it’s because you’ve seen their absolutely incredible Engagement Shoot I photographed with them and their majestic horses (which have been used by Madonna). After their Engagement Shoot, I knew it was merely the tip of the iceberg of how much fun we were going to have in Costa Rica. Denise & Miguel’s wedding week was completely incredible! From the beautiful scenery to the yacht trip to one of the islands to do some snorkeling, the welcome dinner, wedding, reception and some sight seeing in town to do some window shopping & pick up a couple souvenirs – the entire week was totally amazing. The most difficult part of their wedding though was editing all the photos. Not because there were thousands of photographs that I personally hand retouched over the past several weeks in between other projects, but to pick just the right ones for the video I created (which went through 4 versions this week) and choosing the perfect photos for the album design that will be prepared for them through my partner: Pictage. I would like to also acknowledge the professionals who helped make Denise & Miguel’s wedding week in Costa Rica a perfect success. Before you scroll down to check out my some of my favourite photographs from Denise & Miguel’s Costa Rica wedding and you’re thinking you’d like to chat about your destination wedding, totally comment below or contact me anytime day or night. I’m available just about 24/7 via Twitter, Facebook, Google+, the form on my contact page, or the old fashioned phone as well at 888.ESQ.PHTO (888.377.7486) or 562.225.5915. To show other couples how beautiful a destination wedding can be with the right photographer!